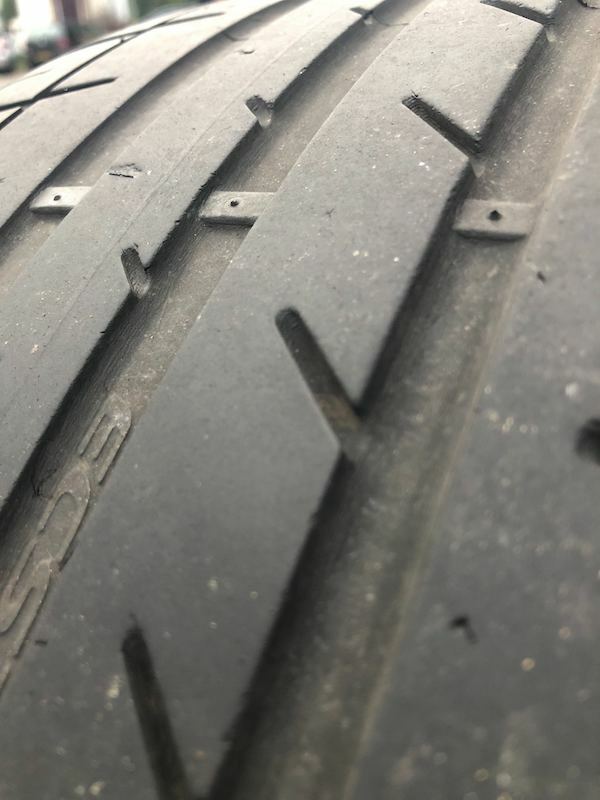 Tyres Rotation - What would you do? 3.2 - Rear tyres down to near legal limit, had them checked at Costco wearing evenly but limited life left. Maybe a 1mm or so off the wear guide. MOT is in March. Currently have Kumho KU39's all around, which I love, however difficult to source unless I buy them and pay a garage to fit. Making them a bit pricey, for the tyre. The replacements get poor reviews, in both fuel use, grip. Difference to premium PS4's is minimal. The fronts have a bit of meat left on them, I am considering putting those on the rear to shred them down. That would leave me with 4 new tyres to get, which is a bit pricey. Option 1) Leave as is, get rears down and just replace those come MOT time, probably with PS4's. With KU39's on the front. Option 2) Put fronts on rear, probably have enough meat for MOT, but fronts will be suspect. 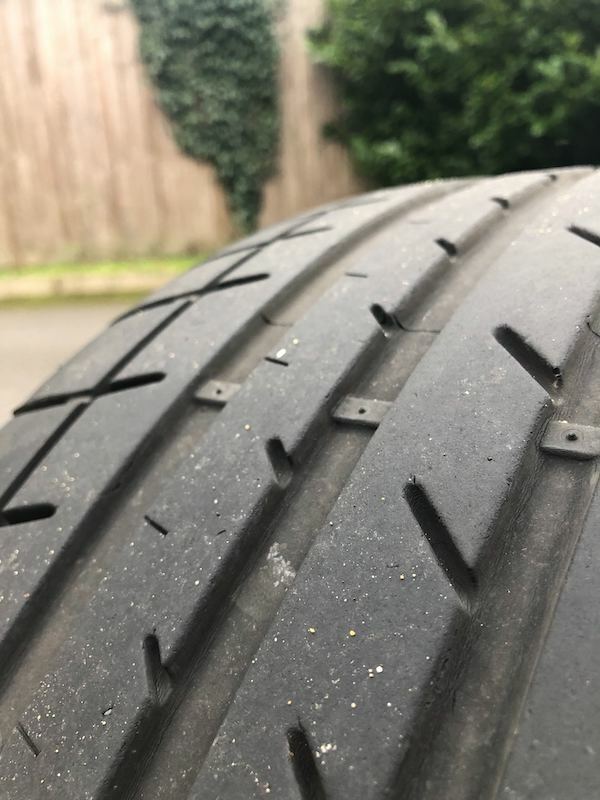 Re: Tyres Rotation - What would you do? If front edge wear is ok, swap them over. Costco are only prepared to sell me four because the car is permanent 4x4 ..... I'm not prepared to buy 4 in one go. Good thing about Omega, 4x PS4's or Goodyear ASM 3's about £400. Just unsure about the mix front to rears. Don't want winters, have set of 4x CD alloys with Dunlop Winter Sport 3D's if we get it seriously bad. Even then I just work from home, so don't need them really. Just replace the ones that need it. If you can afford all four, then get that many. It isn't rocket science, or a critical motorsport application where even the F1 test driver fantasy might be worth something. Cheers. That means I'll probably stick PS4's on the rear, end of Feb for the MOT. 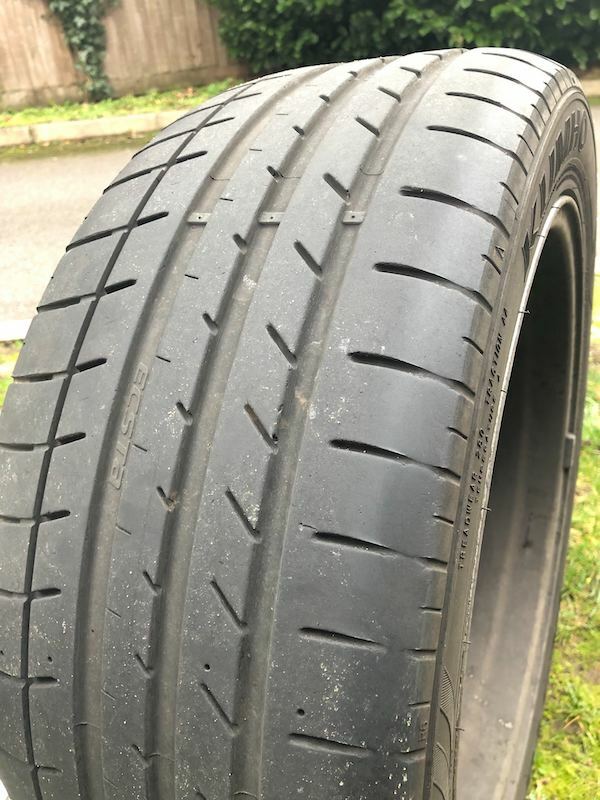 PS4's are a great tyre in my opinion and have just had two fitted on the rear of the project for £104 a corner, however, the daily runs on Uniroyal Rainsport III's which are £70 a corner and have worked well in all conditions. I always fit new tyres to the front, because the Omega tramlines less with newish rubber on the front, and worn rubber on the rear doesn't seem to make much odds. This is the opposite of the "official" advice, of course. The advice is always to put the grippiest tyre on the rear, as for most, understeer is far easier to get back into shape than chronic oversteer. Hindsight is wonderful, so you probably wanted to rotate a while ago. I'd still do so, putting to one side the money you were going to spend now, so its slightly less painful when you have to buy a set of 4. Thanks all, swapped them today, fronts had less meat than I thought. MOT end of March, think I'm looking at 4 new boots. Years of life left in them.